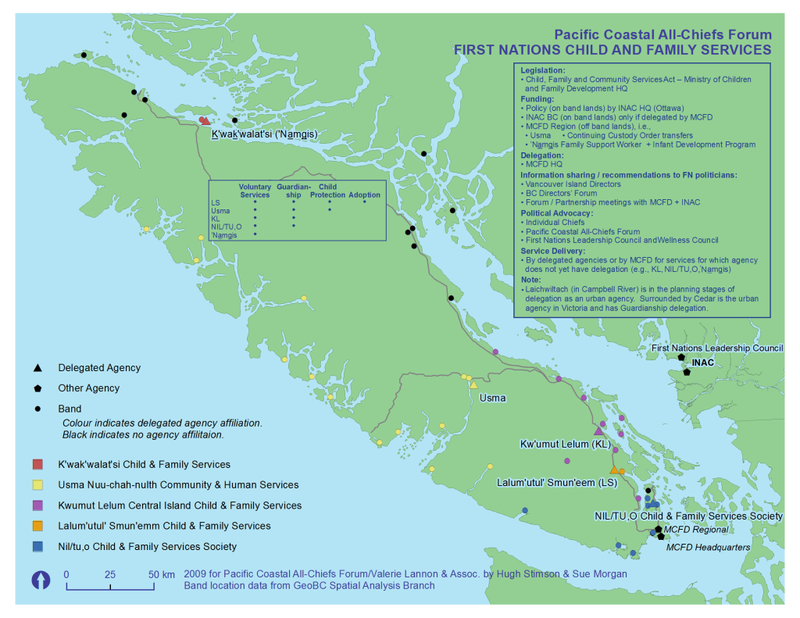 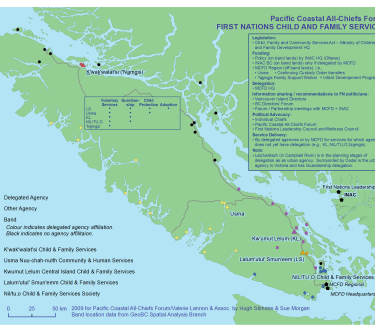 A reference map to intuitively convey compiled information about jurisdiction and location of First Nations Family and Child Services on Vancouver Island. The principle cartographic challenges were the use of colour and symbolization to quickly convey jurisdictional boundaries among tribes. 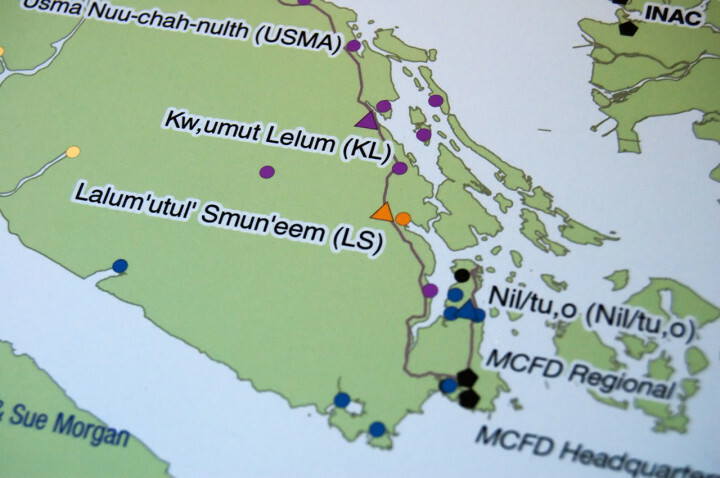 The principle programmatic challenge was convincing conventional GIS software to accept First Nations character encodings.